There’s been some talk of the Chicago Bears possibly moving on without quarterback Jay Cutler this season. The team will owe Cutler $10 million of his base salary if he’s still on the roster after March 12. So a big decision looms for Ryan Pace and co. as the free agent options really aren’t too appealing compared to Cutler staying on the team. 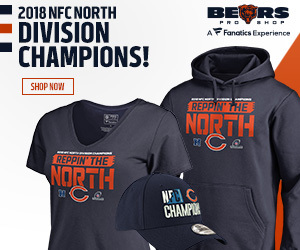 What the Bears do with Cutler will be very interesting and will surely pave the way to what they do in the NFL Draft because the starter type likely won’t be available via free agency. But the starting spot isn’t the only issue. The Bears also will have to fill the backup position through free agency if they decide not to bring back Jimmy Clausen. Let’s look at some free agent options at quarterback this year. 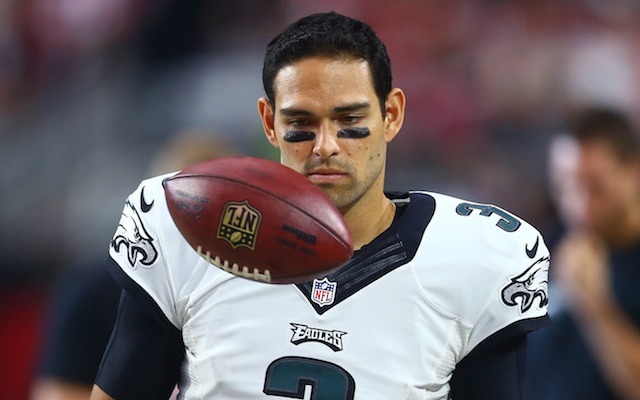 Sanchez will be the most sought after quarterback in this year’s free agent class after he stepped in and had some success for the Philadelphia Eagles last season. It’s very unlikely Sanchez lands with the Bears as a backup as he’d ideally like to accept a starter job. If the Bears do let go of Cutler, Sanchez would be the guy to step in. Hoyer showed he can start in the NFL by playing well at times for the Cleveland Browns last year. Then he didn’t play so well and ended up being benched for the Johnny Football project. His skills are very limited and he’s already shown what type of quarterback he will be. The Bears could give him a look as a backup. Locker was a name floated out by Bleacher Report’s Matt Eurich, as the Bears could give him a look come March 10. Locker would be a very serviceable backup and could step in and start if needed. The former eighth overall pick has struggled to stay healthy but has shown some signs that he can actually play. There’s not a chance that Michael Vick will earn a starting job in the NFL unless it’s due to injury. With age catching up to him and no signs of that flashy mobility coming back, Vick isn’t an ideal candidate. Moore has been relatively healthy for most of his career and hasn’t been terrible when he gets reps. He won’t come in and be a starter, but he could be a serviceable backup at a cheap price. As you can see, there aren’t any eye-popping free agent quarterbacks this year which is what makes me believe the Bears will move forward with Cutler. However, one of these guys on the list could be a good backup for the team going into the 2015 season.